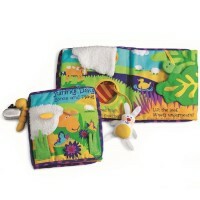 Galt Baby First Book is a crib bumper, baby's soft book, and cognitive development toy - all in one! 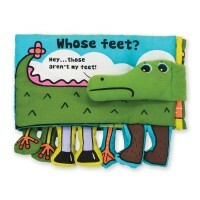 This infant soft toy is a crib bumper, baby's first book, and cognitive development toy - in one! 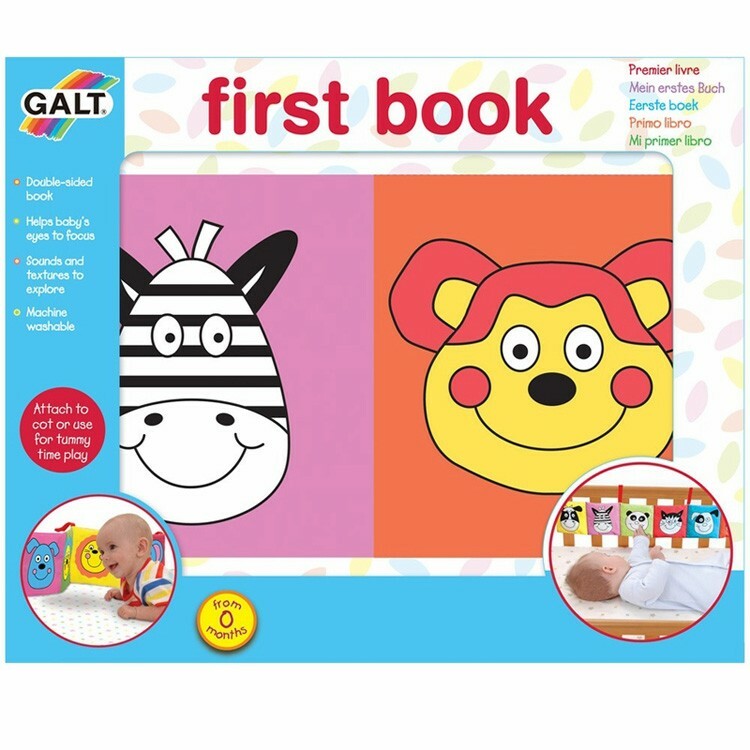 Baby First Book Crib Bumper by Galt is a unique bendable picture book sure to engage your baby's senses. 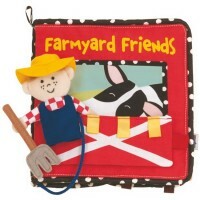 This double-sided fabric book features 6 black and white smiling faces of animal friends on one side, and colored animals on another one. 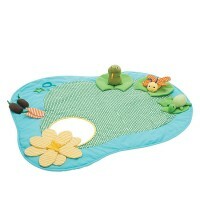 Zebra, monkey, cow, panda, dog, and cat will be become your baby's first play companions. 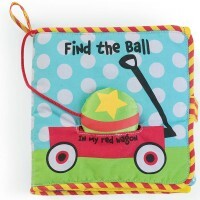 The black and white pictures encourage the youngest infants to focus their eyes and see clearly. 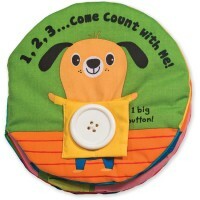 As your baby grow, you can turn the bumper book to show the colored faces. 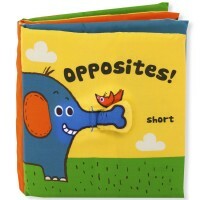 The special soft design makes this bumper book perfect for lining around your crib or for floor tummy play. 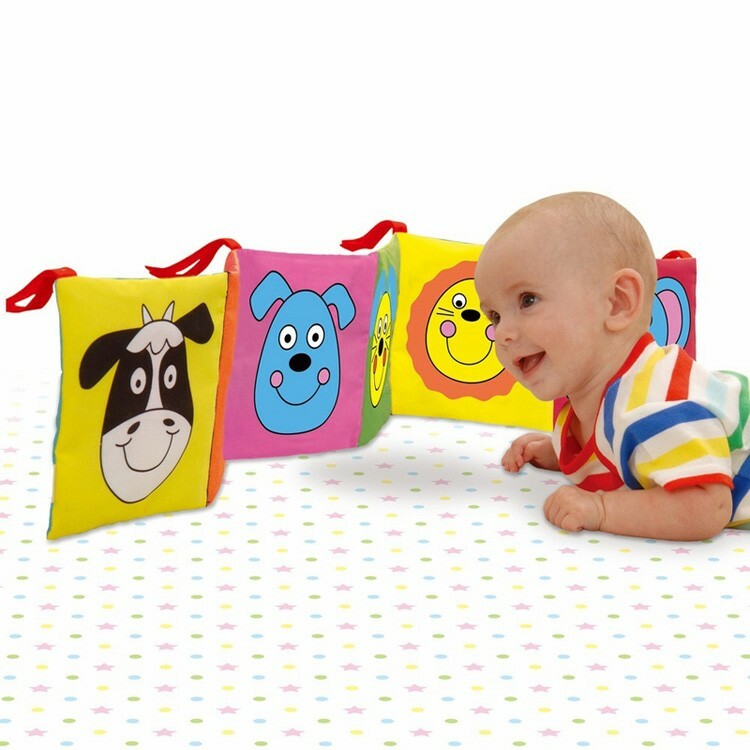 Educational Toys Planet offers the Baby First Book Crib Bumper as a great way to encourage tummy play and strengthen eye control. 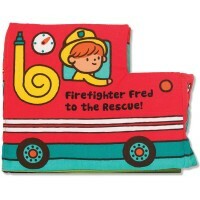 Dimensions of package 12" x 10" x 1.5"
Write your own review of Baby First Book Crib Bumper. Rating: 4 by Julie, OH I like the music. 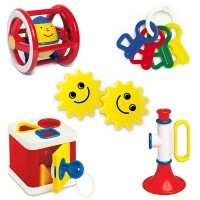 It is so nice not to listen to baby tunes! My grandson is still only 5 months old. 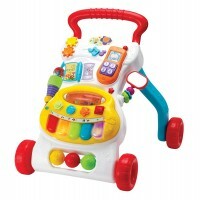 I bought this a couple of months ago and he enjoyed looking at the bright colors. Then when he got a little older he started following the lights with his eyes.